I love to go on extended camping trips and try to pack good food for outdoor cooking, but I always worry about them going bad. My search for the best refrigerator alternative ended when I found RTIC coolers. RTIC coolers offers many different sizes so even if you're only on a short trip, they have something for you. You should definitely check them out if you want a sturdy and reliable cooler. Obviously, the main purpose of a cooler is to keep things cool. That's why insulation performance is probably the first thing you'll consider. Generally, you can choose between traditional coolers and high-end ones. ​Traditional coolers (the ones common in grocery and hardware stores) can keep perishable food safe maybe for about 5 days. These are generally the cheaper choice. However, they do just fine in beach trips and short occasional weekend getaways. On the other hand are the high-end ones, which are more than twice the price. They offer better insulation and durability than the traditional coolers. If you go on frequent camping trips a year, in more demanding or harsh conditions, then they are probably worth the investment. It’s also a worthwhile investment if you go﻿﻿﻿ ﻿﻿on hunting or fishing trips. You have to remember that the fish you catch or the meat you hunt is warmer than your cooler so your ice will melt as you bring your catch to a cooler temperature. Finally, think about what you will be storing in the cooler. Perishable food like milk, cheese, meat and eggs have to be stored below 40 degrees fahrenheit. With that in mind, you might want to look into a high end cooler, especially for multi-day trips. Beer is also better when cold. Choosing the right cooler will help you enjoy our food and drinks better. Coolers are usually for the outdoors, so they get some beating to them. If you only go beach trips or occasional camping trips, then a traditional cooler will do you well. Traditional ones are also fine if you plan to give your son’s soccer team cold drinks. In short, they are good for short occasions with less demanding situations. However, for frequent campers and outdoor goers, then a high-end model may be the wiser choice. They are built with better hinges, lids and walls that are more rugged and rigid. They also have better latching mechanisms and draining system, larger handles and possibly UV resistant plastic. You also have to think about portability since your cooler is probably one of heaviest things you'll have to bring. While having a big one with as much beer or food as you can have sounds great, it won't be as fun to move around. Also, a larger cooler will keep cool longer than a smaller cooler. However, that rule depends on how fully loaded it is. Coolers are more efficient when there is less empty space. That is why a small cooler that is full will keep ice frozen longer than a half empty larger one. You want to look for models with low drain holes so there is less manual effort. Otherwise, you'll find yourself lifting one end of the cooler just to drain the water out. You also want to look for drain holes that are just the right size. While large holes drain faster, it can also be a problem because it can get ice cubes through. Make sure drainage plugs or stoppers fit well and are attachable so you don't lose them. As with everything else, price matters for every consumer. Your budget affects a lot of your choice or your choice affects the budget. Generally, you get what you pay for. You can find traditional coolers in grocery and hardware stores from around $20 to $100. High-end coolers are over 100 dollars up to 400 dollars or more. The warranty RTIC coolers offer, I believe is fair. It offers warranty against physical defects in material and workmanship for 30 days from the date of purchase. This applies only to the original buyer or owner. However, I haven’t had any issues with mine, so it’s cool. One reason I chose to get an RTIC cooler is that it really fit the bill for me. It is high in insulation performance and durability, yet it is not as expensive as brands like Yeti or Grizzly Hunting. RTIC Roto Molded Coolers come in three kinds: RTIC 20, RTIC 45, and RTIC 60. The main difference between them is their size. This is the smallest of the Roto-Molded coolers. It small enough for one hand carry, but large enough for short trips, football games, and other sports occasions. It can fit 24 cans, 25 pounds of ice, or 5.5 gallons. The RTIC 45 is a great size for more food or drinks, yet is can still be carried by one person. It can fit some of your fishing catch, or small hunting game, about 36 cans, 40 pounds of ice, or 11.25 gallons of water. This is the largest one and it can hold about 70 pounds of ice, 64 cans, or 16.25 gallons. This size is great for larger game size, offshore fishing, and extended camping trips. Depending on how much is inside, it can be carried by one or two people. The t-shaped latches uses silicone and it interlocks to the body nice and tightly. It makes it easy to grip. The Rotomolded construction, which is the same process to make kayaks, makes the cooler very robust. You can really feel the toughness of the material. In fact, since the lid has a non-slip surface, I’ve used it as a stepping stool and a seat. If you like to fish, you can use it as a casting platform. The insulation used in RTIC coolers is a closed-cell foam. It keeps cool air in and warm air out. The walls are 2 inches of what they call pressure-injected commercial grade polyurethane foam insulation, while the lids are lids are three inches. While it can probably handle some bouncing and beating at the back of your pickup truck, it doesn't have to. You can secure it with tie down slots on the side. You can lock the cooler with a long shank padlock. Draining water out is pretty simple. The drain plug has a gasket to keep it from leaking and keeps the ice in. It also has a v-drain system which helps drain all the water out without having to lift or tilt the cooler. The lid closes pretty nicely and you can tell that it's really snug so it keeps the inside cold. The hinge system uses corrosion-resistant hinge rods that are stainless steel. At the bottom of the cooler are non-slip rubberized feet to keep the cooler firm in place. It doesn't slide around truck beds and boat decks. 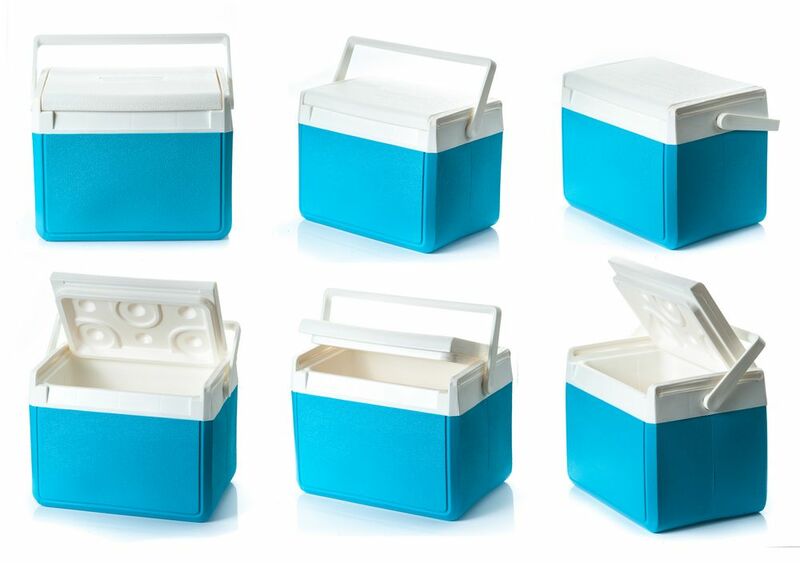 The cooler has two types of handles: the rope handles and the molded handles. The rope handles have a nice comfortable grip and it's ideal for heavy loads. However, I would still suggest a two man carry on the molded handle instead of the rope. While it says it can keep ice frozen for ten days, I don’t know what external conditions were for that evaluation. However, the gasket really seals the cooler so well that kept ice after almost 3 days. See this video for an unbiased ice test. What brought me towards RTIC was how it was compared with Yeti Coolers. In fact, they are almost identical, from colors, to features, and even where their logos are. Yeti coolers are high end but it’s almost twice the price of RTIC coolers. 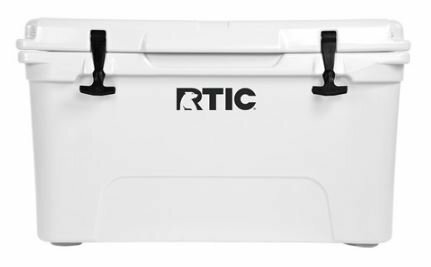 Unlike the YETI cooler, the RTIC cooler has an Easy-Lift Lid Handle. Aside from the price, that’s actually one of the main difference between the two. If you use the T-latch to open, it could stretch and damage the silicon, making it less effective as a seal. RTIC cooler is so much cheaper than the YETI cooler, despite the many similarities. In the video above, the RTIC cooler had more ice in the end so it kept the inside colder longer. It is slightly heavier, however it’s a very minimal difference. One person can still carry an RTIC 65 cooler on their own. The YETI cooler is more available and accessible. RTIC coolers are on a pre-order, first come first serve basis. The RTIC 45 became available on Amazon on October 2016 and since then, it’s gotten a lot of positive reviews. Buyers love how it’s so much cheaper than a lot of quality brands, yet it functions just as good or even better. I love it for that same reason: high-end quality at a traditional cost. The RTIC Soft Pack comes in 4 different sizes: RTIC lunch box, soft pack 20, 30 and 40. I find the 20 just right for my type of use. It can hold about 20 cans, 20 pounds of ice, or 15 quarts of water. When I go camping with family or friends, I use the RTIC 45 for perishable goods. However, I Still bring the RTIC soft pack 20 for other goods. It's also my go to cooler for when the family goes to ball games, picnics, and other less demanding occasions. The RTIC Soft Pack uses 100% waterproof material, and a leakproof zipper. It also has an anti-microbial liner to resist molds. The exterior doesn’t sweat and it's puncture and tear resistant. The soft pack cooler comes in two colors: grey and camo. 1. ​Why is an RTIC cooler much cheaper than a YETI or other high-end brands? Is the quality lower than these? You can clean your cooler with warm water and dish soap. You can also use a solution of bleach and warm water to remove stains and bad odors. 4. What is the warranty policy? All RTIC coolers have warranty against physical defects in material and workmanship for 30 days from the date of purchase. This applies only to the original buyer or owner. 5. Where can I buy an RTIC cooler? 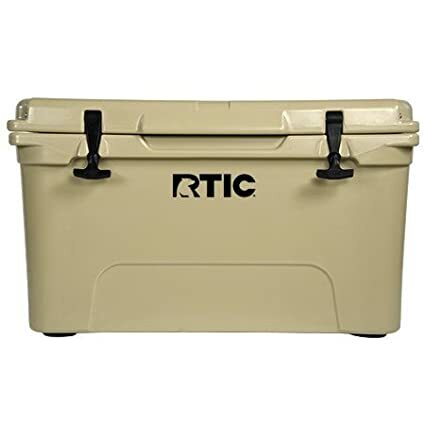 ​RTIC only sells their coolers online. You cannot find their coolers and other products in any retail location because they’re a direct to consumer online retailer. The RTIC brand is one of my favorite finds on the internet. It was compared a lot to YETI coolers, which is about twice the price of RTIC coolers. I was hesitant with it at first because the price seemed too good to be true. However, after a lot of research, I was pretty convinced. There are legit reviews from true outdoorsmen and unbiased videos that show just how high-quality the brand is. When I go camping, it can get pretty rowdy. There’s the occasional visits from forest creatures, rough play with kids, and the plain roughness of being outdoors. However, I’ve never had any problems with it. I’ve camped for 5 days and my food and drink stayed cold throughout. In conclusion, the RTIC cooler lives up to the hype. The insulation performance and durability are excellent, draining is easy, and the price is pretty low for the great quality. I would definitely recommend this cooler to others.